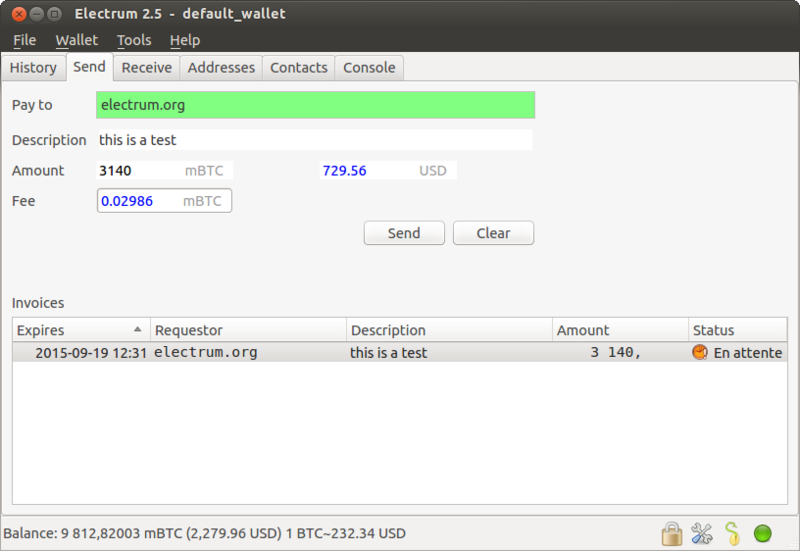 Axe Electrum is based on Electrum, a Bitcoin wallet. Most functions are identical, which means it is not necessary to reproduce the entirety of the Electrum documentation here. The following sections describe some frequently used advanced functions. For further details on other advanced functions in Electrum for both Bitcoin and Axe, please click the links below. Axe Electrum supports masternode creation through an interface called the Masternode Manager. The functionality is available starting from the protocol version 70201. 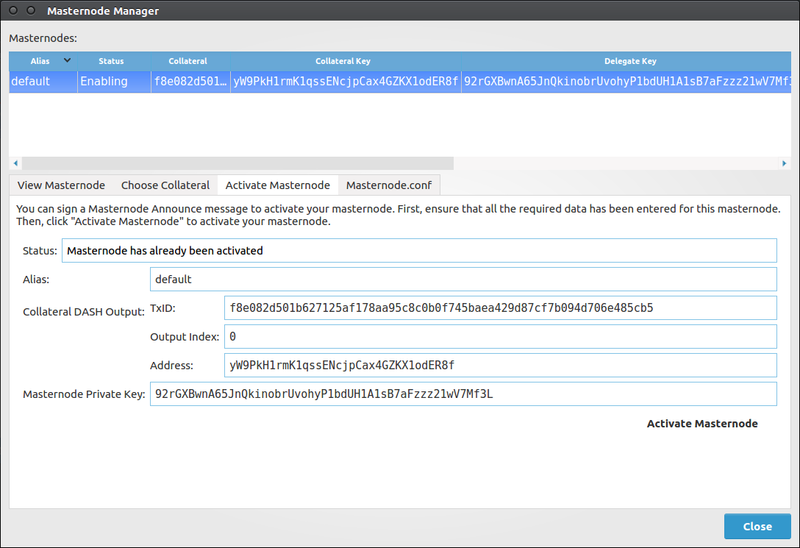 The Masternode Manager can be accessed either from the Wallet > Masternodes menu or by pressing Ctrl+M. This manager displays the status of your masternode(s). A wallet with no masternodes will begin with a default masternode for which you can fill in the necessary information. The alias (name) of the masternode. The status of the masternode (e.g. whether it has been activated). The collateral payment of the masternode. The IP address and port that your masternode can be reached at. The protocol version that your masternode supports. A masternode requires a “delegate” key, which is known to both Axe Electrum and your masternode. Your masternode will use this key to sign messages, and the Axe network will know that you authorized it to. A delegate key can either be one of your Axe Electrum keys, or an imported key. Either way, your masternode and Axe Electrum will both need to know the private key. 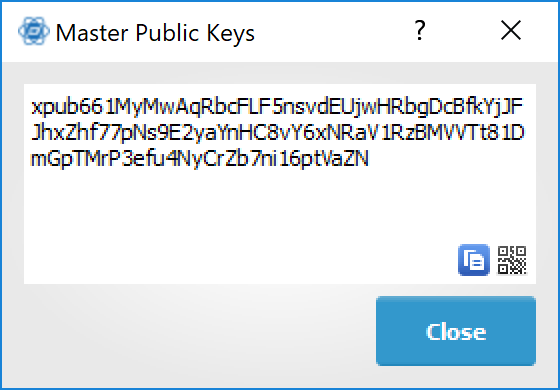 To use one of your Axe Electrum keys as a delegate key, put its private key in the Masternode Private Key field of the View Masternode tab. Certain information about your masternode is required. The IP address and port that your masternode uses must be supplied. Also, the protocol version that your masternode supports is required. This information is filled in automatically if you import a “masternode.conf” file. To start a masternode, you must have a 1000 AXE payment available in your wallet. 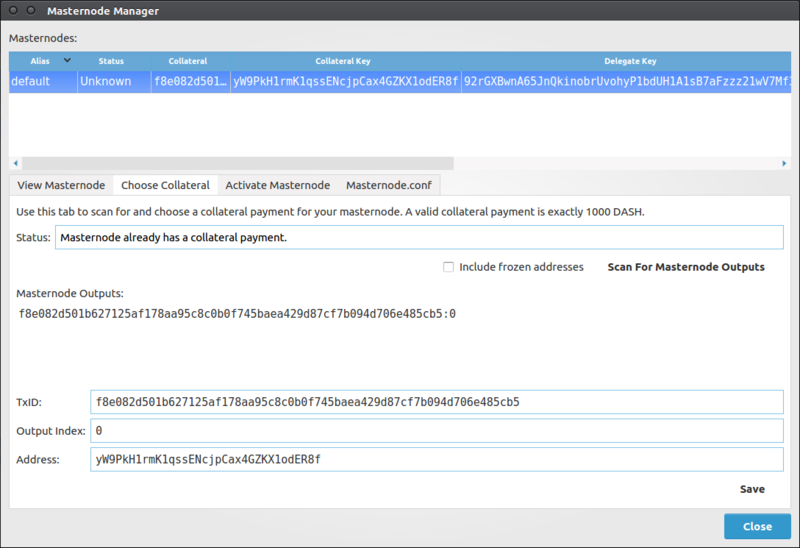 You can scan your wallet for 1000 AXE payments in the Choose Collateral tab of the Masternode Manager. After scanning, a list of available 1000 AXE collateral payments will be displayed. Selecting one of them will cause the selected masternode’s data to be filled in, though these changes won’t be saved until you click the Save button in the lower-right corner of the tab. 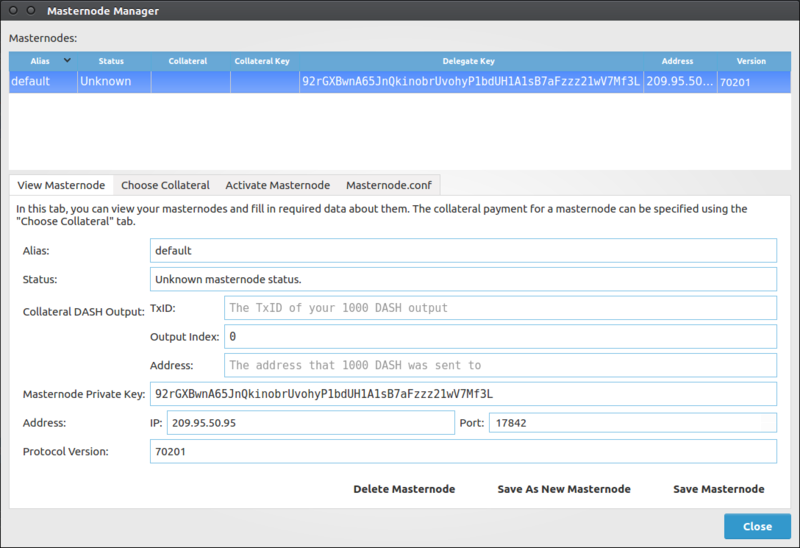 After selecting a collateral payment and specifying a delegate key, you can activate your masternode. Do this by clicking Activate Masternode in the Activate Masternode tab of the Masternode Manager. If the Activate Masternode button cannot be clicked, look at the message in the Status bar. It will show you why your masternode cannot be activated. Activation will require your password if your wallet is encrypted, because a message must be signed. After waiting for Axe Electrum to sign and broadcast your masternode announcement, you will be presented with a message detailing the result. The status of your masternode will be updated in the table and the View Masternode tab. You can import a masternode.conf file using the Masternode.conf tab of the Masternode Manager. This is the recommended way of setting up masternodes, as it allows you to configure masternodes for Axe Core and Axe Electrum in the same way. Importing a masternode.conf file will automatically set up one or more masternode configurations in the Masternode Manager. 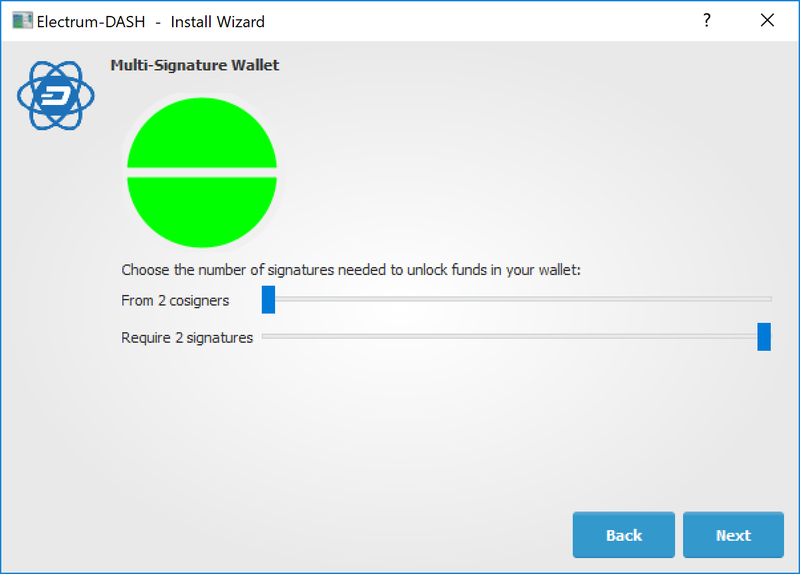 This tutorial shows how to create a 2 of 2 multisig wallet. A 2 of 2 multisig consists of 2 separate wallets (usually on separate machines and potentially controlled by separate people) that have to be used in conjunction in order to access the funds. Both wallets have the same set of addresses. A common use-case for this is if you want to collaboratively control funds: maybe you and your friend run a company together and certain funds should only be spendable if you both agree. Another one is security: one of the wallets can be on your main machine, while the other one is on a offline machine. That way you make it very hard for an attacker or malware to steal your coins. 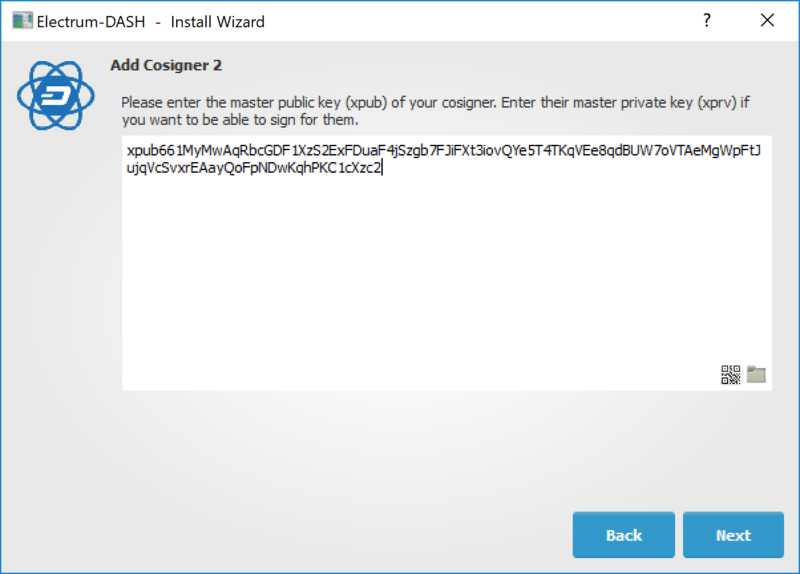 Each cosigner needs to do this: In the menu select File > New, then select Multi-signature wallet. On the next screen, select 2 of 2. After generating and confirming your recovery seed, you will be shown the xpub address for this wallet. After generating a seed (keep it safely!) you will need to provide the master public key of the other wallet. 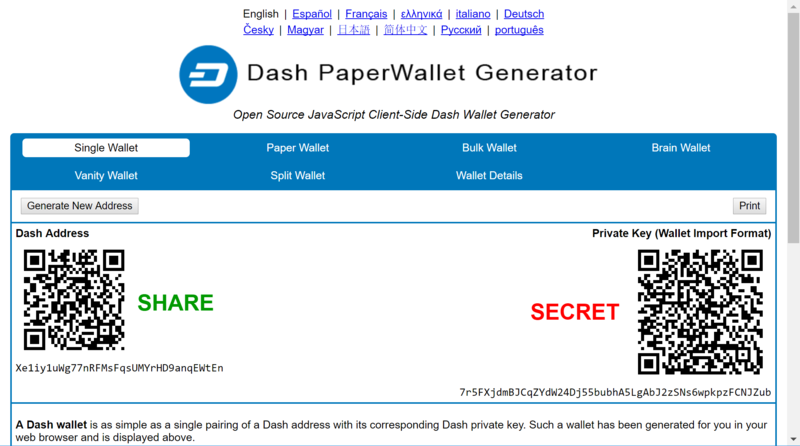 Of course when you create the other wallet, you put the master public key of the first wallet. You will need to do this in parallel for the two wallets. Note that you can press cancel during this step, and reopen the file later. Check that both wallets generate the same set of Addresses. You can now send to these Addresses (note they start with a “7”) with any wallet that can send to P2SH Addresses. To spend coins from a 2-of-2 wallet, two cosigners need to sign a transaction collaboratively. To accomplish this, create a transaction using one of the wallets (by filling out the form on the Send tab). 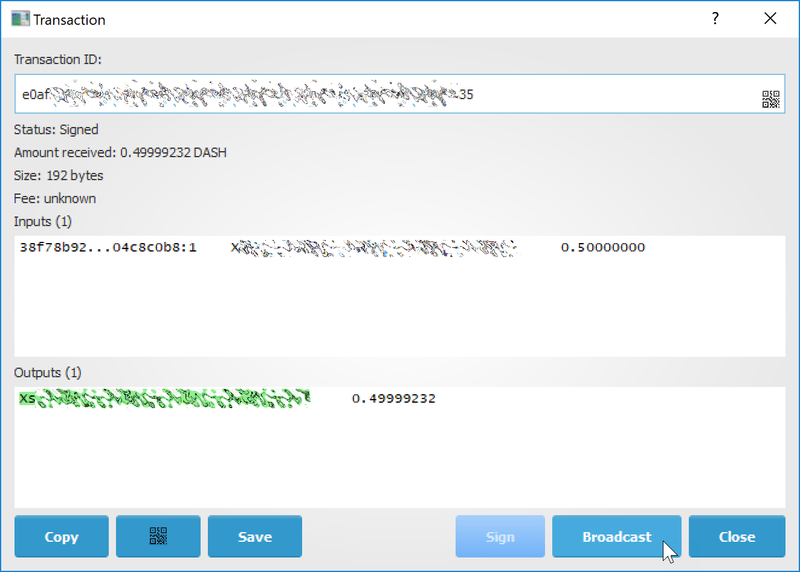 After signing, a window is shown with the transaction details. 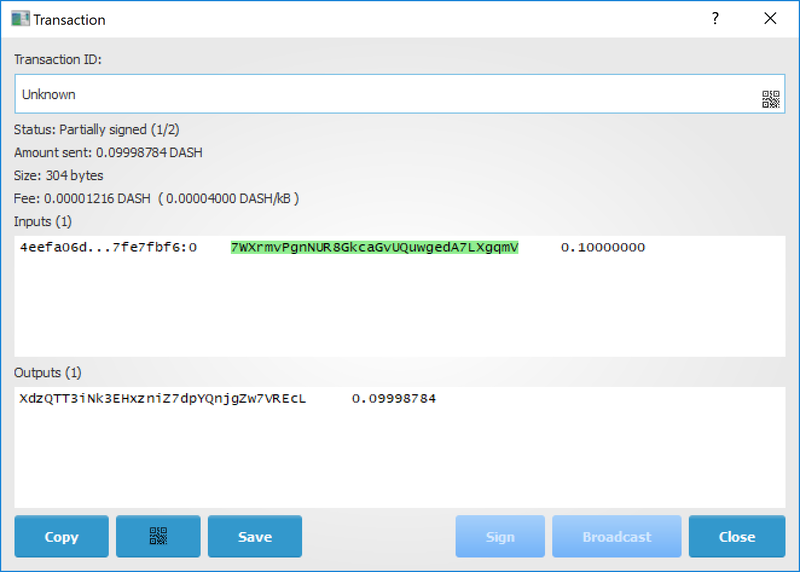 With both of the above methods, you can now add the second signature to the transaction (using the Sign button). It will then be broadcast to the network. You may have received a paper wallet as a gift from another Axe user, or previously stored one in a safe deposit box. Funds are swept from a paper wallet into a live wallet by importing its private key, which is a long sequence of characters starting with the number “7” or the capital letter “X”. The example below displays a private key (WIF format). Funds from paper wallets are swept into an Axe Electrum Wallet by creating a transaction using the private key and sending it to a new address from your wallet. This is necessary because it is not possible to add new public or private keys to an existing deterministic series of addresses derived from a seed phrase. Begin by selecting the Wallet > Private Keys > Sweep menu item. The Sweep private keys dialog will appear, where you can paste your private key(s). An unused address controlled by your Axe Electrum wallet appears in the lower field, and can be changed by clicking the Address button. Once you have pasted your private key, click the Sweep button. Axe Electrum then prepares a transaction using the private key you just imported to derive the public address for the transaction input and the address from your wallet as the output, and signs the message. Click Broadcast to enter the transaction on the blockchain. The balance will then appear in your wallet under the specified address. The address you swept is left with zero balance. This section shows how to create an offline wallet that holds your Axe and a watching-only online wallet that is used to view its history and to create transactions that have to be signed with the offline wallet before being broadcast on the online one. Create a wallet on an offline machine, as per the usual process (File > New). 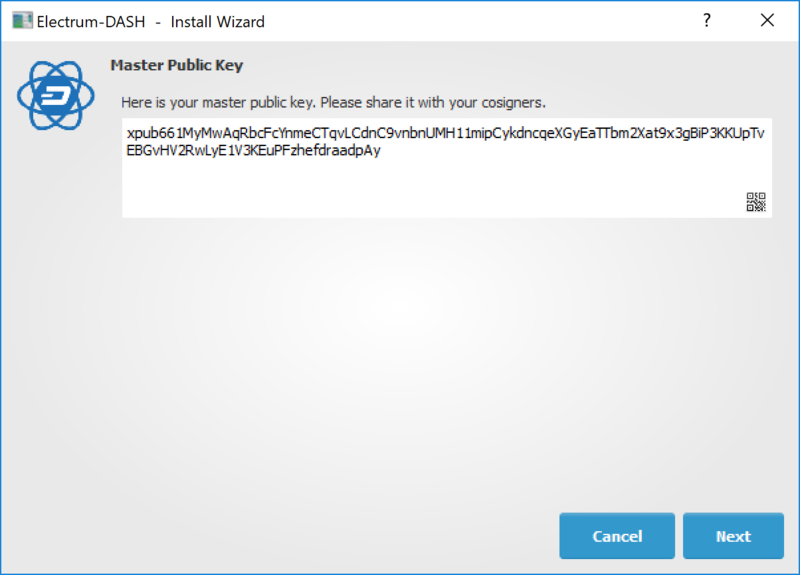 After creating the wallet, go to Wallet -> Master Public Keys. The Master Public Key of your wallet is the string shown in this popup window. Transfer that key to your online machine somehow. On your online machine, open Axe Electrum and select File > New/Restore. Enter a name for the wallet and select Use public or private keys. Paste your master public key in the box. Click Next to complete the creation of your wallet. When you’re done, you should see a popup informing you that you are opening a watching-only wallet. The transaction history of your cold wallet should then appear. Go to the Send tab on your online watching-only wallet, input the transaction data and click Send. A window will appear to inform you that a transaction fee will be added. Continue. 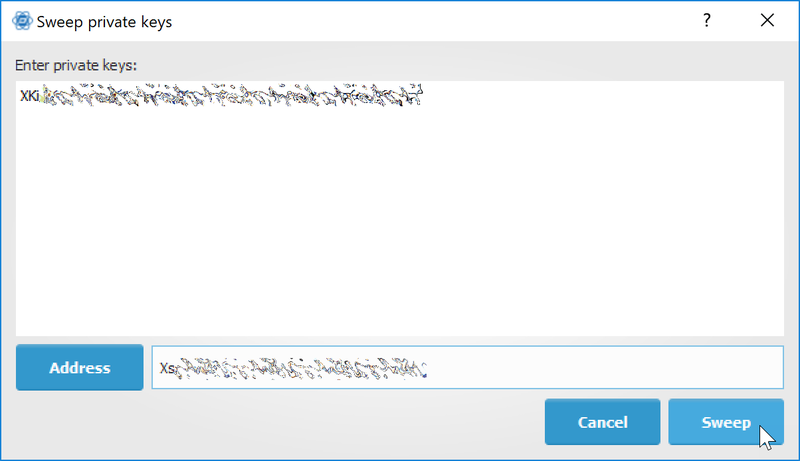 In the window that appears up, click Save and save the transaction file somewhere on your computer. Close the window and transfer the transaction file to your offline machine (e.g. with a USB stick). On your offline wallet, select Tools > Load transaction -> From file in the menu and select the transaction file created in the previous step. Click Sign. Once the transaction is signed, the Transaction ID appears in its designated field. Click Save, store the file somewhere on your computer, and transfer it back to your online machine. On your online machine, select Tools -> Load transaction -> From file from the menu. 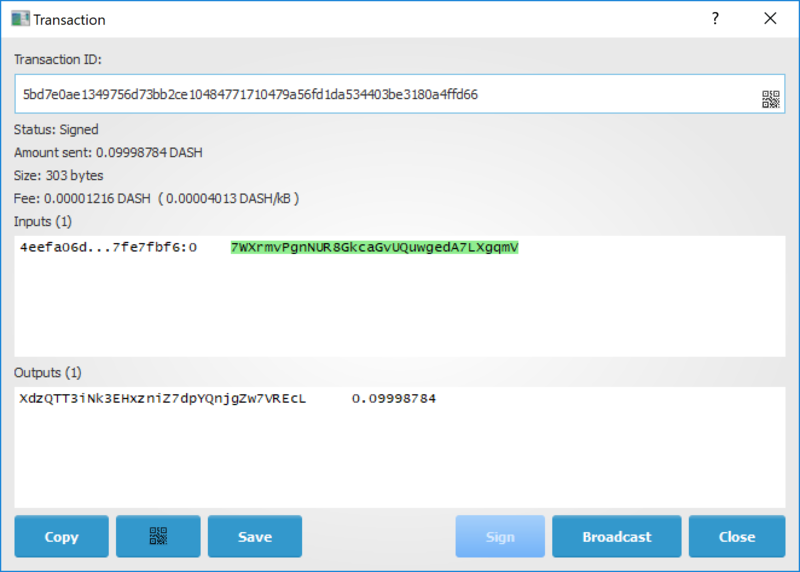 Select the signed transaction file. In the window that opens up, click Broadcast. The transaction will be broadcast over the Axe network. Axe Electrum has a powerful command line available when running under Linux or macOS. This section will show you a few basic principles. The arguments passed to commands may be one of the following magic words: ! ? : - . The following examples use it. Note: this command will prompt for the encrypted message, then for the wallet password. This section will show you how to sign a transaction with an offline Axe Electrum wallet using the command line. The unsigned transaction is stored in a file named ‘unsigned.txn’. Note that the –unsigned option is not needed if you use a watching-only wallet. The command will ask for your password, and save the signed transaction in ‘signed.txn’. If successful, the command will return the ID of the transaction. This tutorial will show you how to accept axe on a website with SSL signed payment requests. 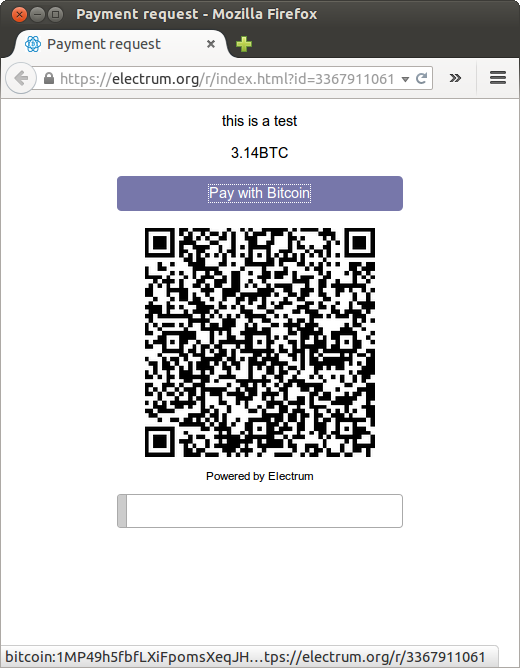 It is updated for Axe Electrum 2.6.
electrum addrequest 3.14 -m "this is a test"
request_url is the URL of the signed BIP70 request. index_url is the URL of a webpage displaying the request. Note that request_url and index_url use the domain name we defined in url_rewrite . You can view the current list of requests using the listrequests command. Let us open index_url in a web browser. The page shows the payment request. You can open the axe: URI with a wallet, or scan the QR code. The bottom line displays the time remaining until the request expires. This page can already be used to receive payments. However, it will not detect that a request has been paid; for that we need to configure websockets. Now, the page is fully interactive: it will update itself when the payment is received. Please notice that higher ports might be blocked on some client’s firewalls, so it is more safe for example to reverse proxy websockets transmission using standard 443 port on an additional subdomain. Commands to the Axe Electrum daemon can be sent using JSONRPC. This is useful if you want to use Axe Electrum in a PHP script.